The Castle of Otranto (1764) is the first supernatural English novel and one of the most influential works of Gothic fiction. It inaugurated a literary genre that will be forever associated with the effects that Walpole pioneered. Professing to be a translation of a mysterious Italian tale from the darkest Middle Ages, the novel tells of Manfred, prince of Otranto, whose fear of an ancient prophecy sets him on a course of destruction. After the grotesque death of his only son, Conrad, on his wedding day, Manfred determines to marry the bride-to-be. The virgin Isabella flees through a castle riddled with secret passages. Chilling coincidences, ghostly visitations, arcane revelations, and violent combat combine in a heady mix that terrified the novel's first readers. In this new edition Nick Groom examines the reasons for its extraordinary impact and the Gothic culture from which it sprang. 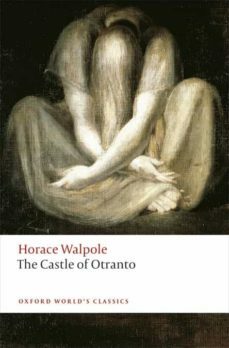 The Castle of Otranto was a game-changer, and Walpole the writer who paved the way for modern horror exponents.